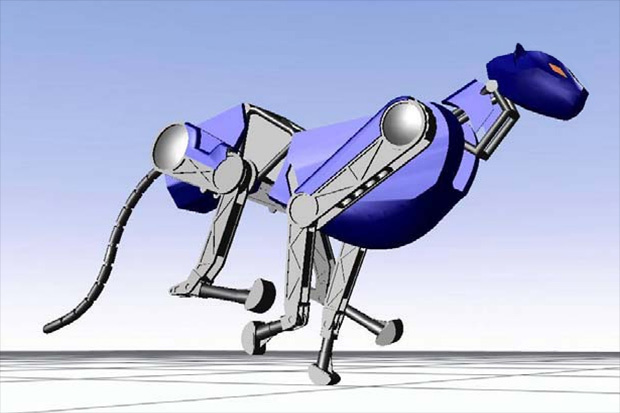 Boston Dynamics, the military engineering firm best known for its four-legged BigDog robot, has been awarded two contracts by DARPA to develop a pair of new robots: an agile humanoid called ATLAS and a speedy, animal-inspired quadruped called CHEETAH. 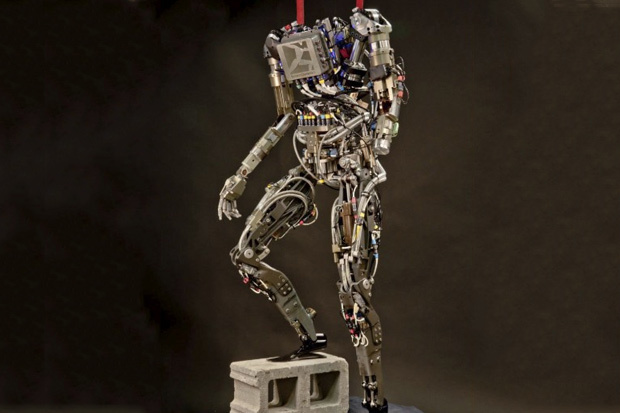 ATLAS looks like a headless Terminator, with a torso, two legs and two arms, all controlled by an array of servos, pistons and robotic muscles. His killer feature is lifelike agility, and will be able to tackle difficult terrain by walking upright, sidling through narrow passages and using his hands for balance, support and grip. “ATLAS will walk like a man, using a heel-to-toe walking motion, long strides and dynamic transfer of weight on each step,” explains Rob Playter, the ATLAS principal investigator and VP of Engineering at Boston Dynamics. Dynamic agility systems will allow the robot to use his own momentum to throw or swing himself across gaps and between handholds. It’s not entirely clear why he lacks a head. CHEETAH, on the other hand, is about pure velocity. Named after the planet’s fastest land animal, Boston’s big-cat-inspired robot will sprint faster than the quickest human athletes. It doesn’t sacrifice maneuverability though, as the robot is being designed to take tighter turns so it can zigzag to chase and evade. 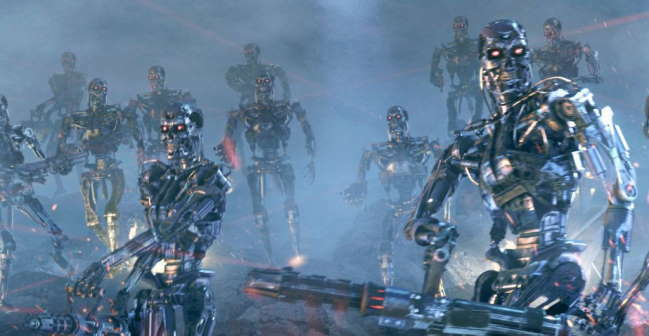 “It will accelerate rapidly, starting and stopping on a dime,” says Boston Dynamics in a statement. The robot will have four legs, a flexible spine and an articulated head and neck. Giving the cat a tail is marked down as a possibility by the consortium of robot experts currently working on CHEETAH and ATLAS, including engineers from MIT and the Institute for Human and Machine Cognition. In the animal kingdom, the cheetah uses its tail like a boat’s rudder, allowing the 75-mph predator to make its sharp turns and flanking twists. While the primary concerns of DARPA’s new robots will be the military, the agile and free-footed droids would also have uses in commercial and civil applications. Boston Dynamics suggests emergency response, firefighting, advanced agriculture and vehicular travel in places that are inaccessible to conventional wheeled and tracked vehicles.